A friend of mine is getting ready to set up his own publishing company, and he asked me how he can make sure that the company name he selected is not already taken by another company. The first step is to just enter the name in a Google search and see what pops up. If you don't see the name or anything close to it, then you go to the website of the Secretary of State's office for the state in which you will be setting up your business. The website will indicate an area to navigate to for questions about businesses, and will often have a helpful section on setting up a business. You can run your potential name through a search on their website to see if the name has been taken in your state. But my friend had a followup question. How do you know the name hasn't been used in another state? The Google search would have indicated that in a lot of cases. But what if someone else using the same name doesn't have an Internet presence of any kind? The only way to be 100% sure is to hire an attorney who specializes in business law to do a thorough search, including trademarks with similar names. It is too bad that there isn't a website you can search for all the possible matches U.S. or even world-wide. But if such a thing exists, I haven't found it. Wednesday night's class was just amazing! Fifteen of my sixteen students came back, so I guess I did okay last week on my first night of teaching. Their homework was to read a certain portion of the textbook, come up with a sentence to describe their book, and try to answer ten questions in the textbook that are a precursor to writing a book proposal. All but one of the students in attendance had a sentence composed, and eleven of them answered the ten questions. I am so proud! Going through each person's sentence took a large chunk of the class time, surprisingly. Everyone was great about asking for clarification on the topic and offering suggestions on how to tighten up or improve the sentences. It was really great feedback, so I hope the students found it to be beneficial. We also covered ways to organize your writing both on and off the computer, and covered the principles behind a well-written book proposal. Copyright does not protect names, titles, slogans, or short phrases. In some cases, these things may be protected as trademarks. Contact the U.S. Patent & Trademark Office, 800-786-9199, for further information. However, copyright protection may be available for logo artwork that contains sufficient authorship. In some circumstances, an artistic logo may also be protected as a trademark. According to the United States Patent and Trademark Office, a trademark generally protects brand names and logos used on goods and services. A copyright on the other hand protects an original artistic or literary work. In order to be granted a trademark, your title must have a distinctive mark that is distinguishable from other titles. In other words, you cannot use terms in the title that are considered to be too generic or arbitrary to warrant protection. So there you have it - you cannot copyright the title of your book. I guess that explains why there are books in print that carry the same title. My first adult education class on writing, publishing and promoting your nonfiction book was Wednesday night. 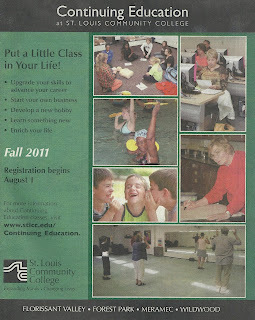 The roster from the college indicated that 14 people had signed up for the class. But I actually ended up with 16 students! How amazing is that? 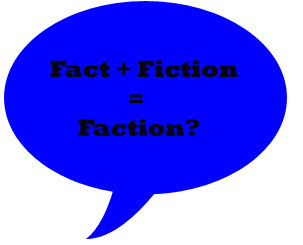 After I had each person introduce him/herself, mention the book topic and what he/she hoped to get out of the class, I asked if everyone knew the difference between fiction and nonfiction. The class does not cover fiction writing because it is written and marketed differently than nonfiction. This opened up a lively discussion of the subtle nuances, sometimes, between the two types of writing. Several class members want to fictionalize parts of their stories due to the sensitive nature of their topics. Isn't that interesting? Personally, I don't have a problem with the concept of adding fiction to a nonfiction story. But I think the author needs to make it very clear to potential readers what has been done to the story. The book should not be promoted as nonfiction. Most everyone has heard of the stink created when author James Frey released his book "A Million Little Pieces" as a memoir, when in fact is was later disclosed to have many fictionalized parts. Readers were mad, book reviewers were mad and Oprah Winfrey, who had promoted the book in her book club, was livid. At first I thought that if you combined nonfiction and fiction you ended up with creative nonfiction. However, according to the creativenonfiction.org website, "The word 'creative' refers simply to the use of literary craft in presenting nonfiction—that is, factually accurate prose about real people and events—in a compelling, vivid manner. To put it another way, creative nonfiction writers do not make things up; they make ideas and information that already exist more interesting and, often, more accessible." Obviously that is not what we are talking about doing here. We are talking about mixing fact and fiction. So what kind of writing is it? I found this related article on the Writer's Relief, Inc. blog to be very insightful. And the reader comments are all valuable as well. Sounds like my author/students have some soul-searching to do! I believe we will all be learning something. When I was writing my first book I realized that I needed some help and guidance if I was going to be successful in this new endeavor. 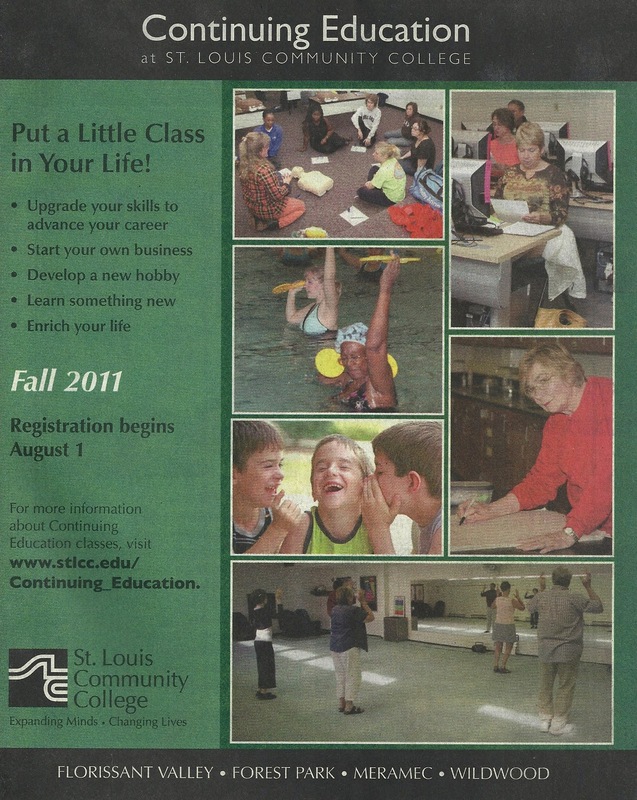 Looking around at the local available resources, I found the class "How to Write, Publish and Promote Your Nonfiction Book in Six Months" being offered through the St. Louis Community College. I believe it was in the fall of 2007. The class had an interesting mix of students in it, but that is a story for another day. The best part of the class was the instructor, Bobbi Linkemer. She had a vast amount of writing experience and, in fact, wrote and published the workbook for the class. That first class helped me organize my thoughts about how I wanted to approach my book. When Bobbi offered a follow-up class in the spring of 2008 designed for the students who were really interested in writing a book proposal and getting their books written, I immediately signed up. Through that class I got my proposal written and ultimately finished my book. Bobbi has become a friend and mentor to me, as she continued to teach a new group of aspiring authors each spring and fall. This fall for the first time Bobbi is unable to teach the class due to health issues. She contacted me to see if I would be willing to take the class over for her this session. I thought long and hard about this as Bobbi has left me with very big shoes to fill. This class is her baby, and she is asking me to care for it. But then I realized that I have been taught by the best, and Bobbi will be behind the scenes to assist in any way that she can. With two printed books and an ebook under my belt, I have my own set of experiences to share with the class. I only hope that I can deliver the message with half the skill and grace of Bobbi. I am very excited to announce that I will be doing a Meet the Author appearance at 6 North Cafe, 14438 Clayton Road in Ballwin on October 15th from 9-11. I will have copies of my book available for sale, but I really am hoping just to have an opportunity to talk to other people interested in house history research. I am scheduled to give a short presentation on how to begin the process of house research at 10 a.m.